For the ultimate leaf peeping experience, you can't beat New England and upstate New York. 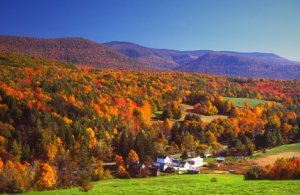 In fact, you can follow the best colors from the Canadian border to the Connecticut River Valley. Immerse yourself in the local flavor of the season (that includes mulled cider!) by purchasing New York timeshares; then you'll never have to worry about reserving accommodations in this busy season. Or, if the Massachusetts Berkshires are more your speed - try RCI timeshares.